We do not need persuading that anti-Semitism is A Very Bad Thing. We also, generally, accept that the Labour Party has had some problems with members straying across the anti-Semitism line recently. 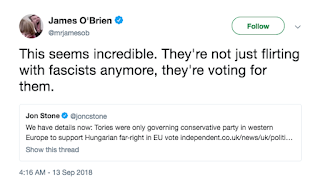 What we also know is that other political parties, and their media cheerleaders, are less ready to call out racism when it is not anti-Semitism. 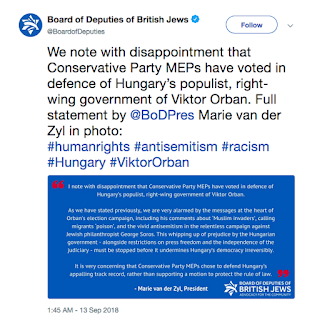 Now we know that they won’t call out anti-Semitism either - when the Tories back it. This realisation has come after a vote in the European Parliament, which amounted to censure of the Hungarian Government. As the BBC has reported, “Prime Minister Viktor Orbán's government has been accused of attacks on the media, minorities, and the rule of law - charges which he denies … More than two-thirds of MEPs backed the censure motion - the first such vote against a member state under EU rules”. Ominously, the report also tells “After the vote, the European Parliament said it was also concerned about … Freedom of expression and religion … Equal rights, particularly for refugees and minorities such as Roma and Jews”. 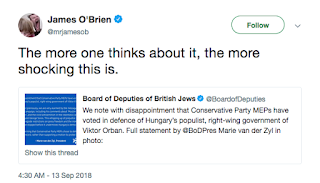 Orbán’s dog-whistle anti-Semitism, often using George Soros as code for all Jews, is infamous. So which way did the Tories vote? Ah well. 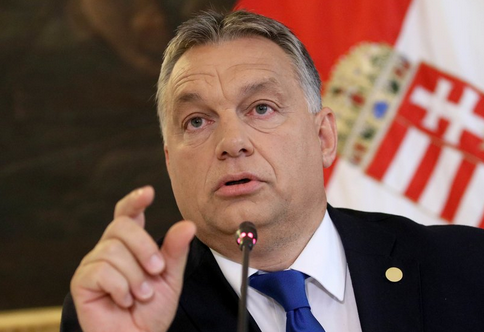 Most of them voted, along with any Kippers who were in town, against the motion, and therefore showing support for Orbán. 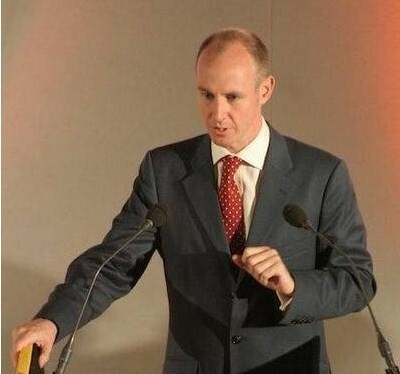 Those Tory votes included Dan, Dan The Oratory Man. The Kippers’ numbers were swelled by an occasional Brussels visit from former Oberscheissenführer Nigel “Thirsty” Farage. 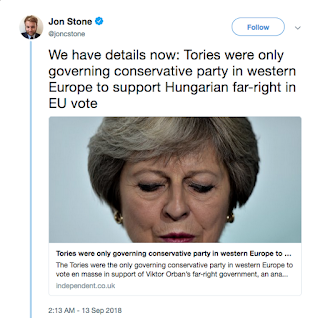 Jon Stone of the Independent confirmed “We have details now: Tories were only governing conservative party in western Europe to support Hungarian far-right in EU vote”. 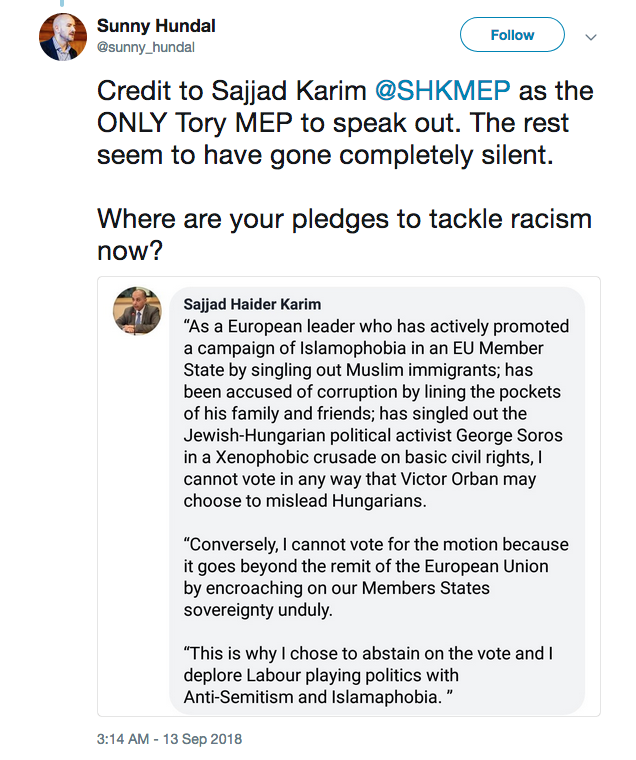 Well, most but not all: as Sunny Hundal has noted, “Credit to Sajjad Karim @SHKMEP as the ONLY Tory MEP to speak out. The rest seem to have gone completely silent. 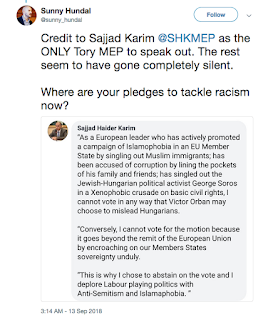 Where are your pledges to tackle racism now?” The sound of crickets was deafening. James O’Brien was not impressed. “This seems incredible. 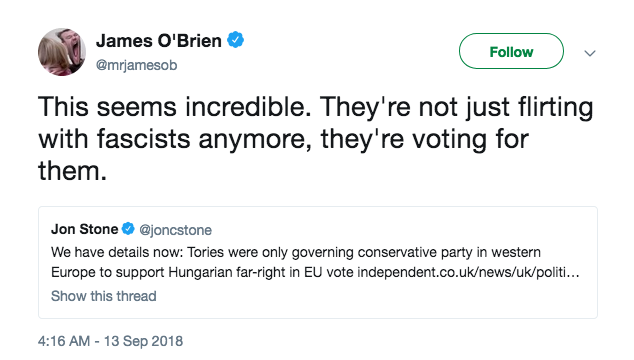 They're not just flirting with fascists anymore, they're voting for them … The more one thinks about it, the more shocking this is”. 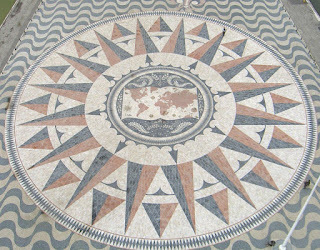 He had noted a statement from the Board of Deputies of British Jews. 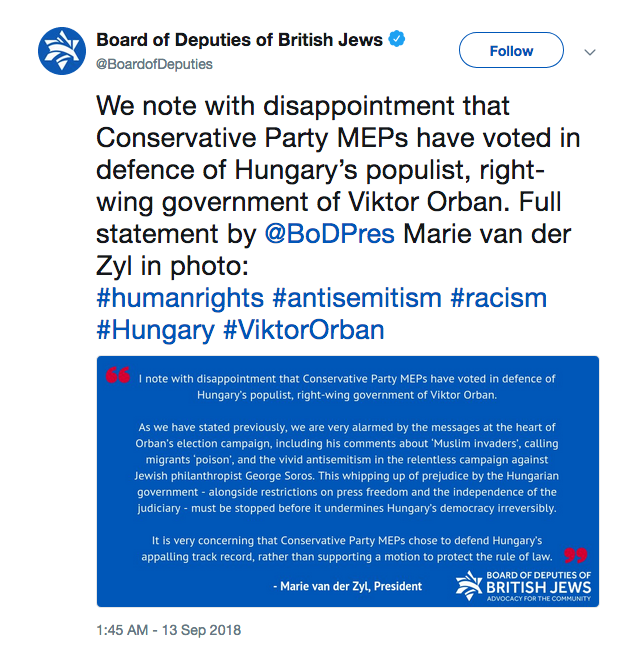 President Marie van der Zyl had observed “we are very alarmed by the messages at the heart of Orbán’s election campaign, including his comments about ‘Muslim invaders’, calling migrants ‘poison’, and the vivid anti-Semitism in the relentless campaign against Jewish philanthropist George Soros … it is very concerning that Conservative Party MEPs chose to defend Hungary’s appalling track record, rather than supporting a motion to protect the rule of law”. That is unequivocal. 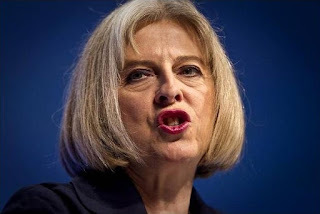 So where is the Tory mea culpa, or more appropriately mea maxima culpa? More to the point, where is the outrage from our free and fearless press? Where are the banner headlines in the Times, Telegraph, Mail, Express and Sun? Where is the condemnation from all those paid-up members of the Pundit Establishment? 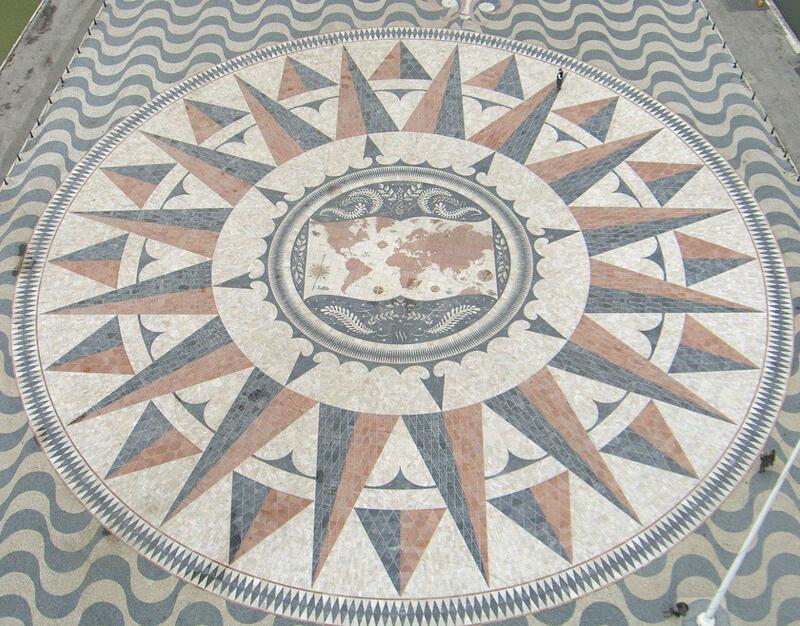 Where is the even-handed and consistent approach from across our print and broadcast media? We’re waiting. But we may be waiting a rather long time. Odd how this has been "missed" by corporate media, especially the increasingly unctuous and erratic Jon Snow at C4 "News".